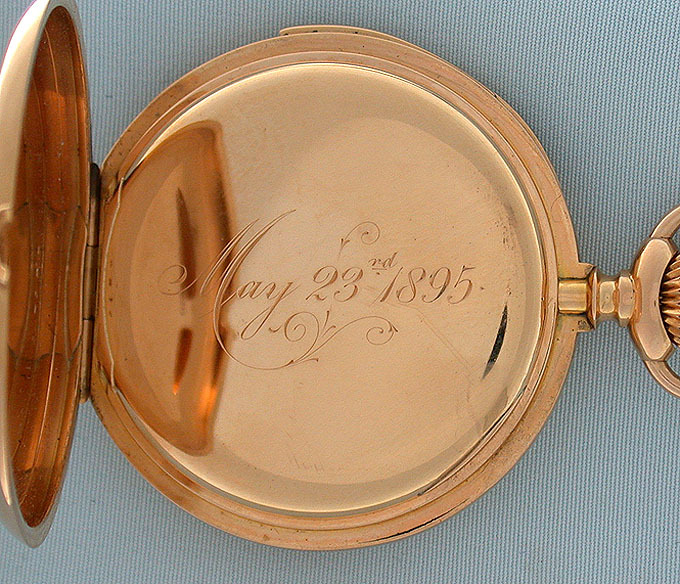 Fine Audemars Piguet 18K gold minute repeater antique pocket watch with custom dial circa 1890. 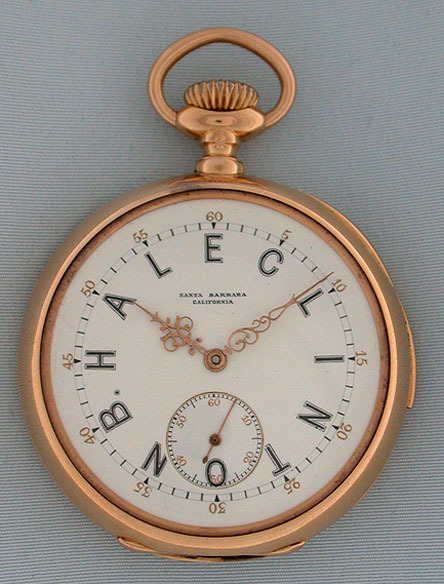 Fine white enamel dial with the original owner's name in place of numbers, gold 5-minute markers, and fancy gold hands. 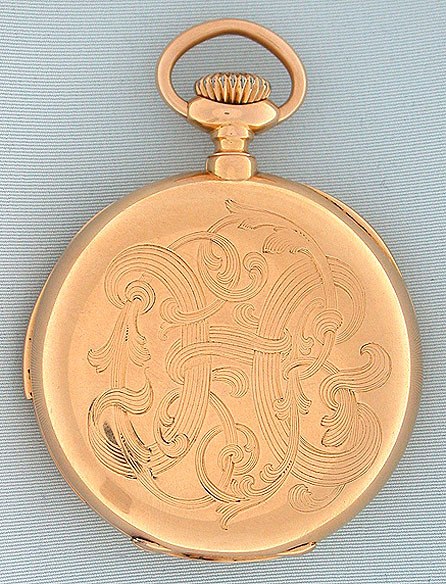 Plain polish case with recessed slide in the band to activate the chime. 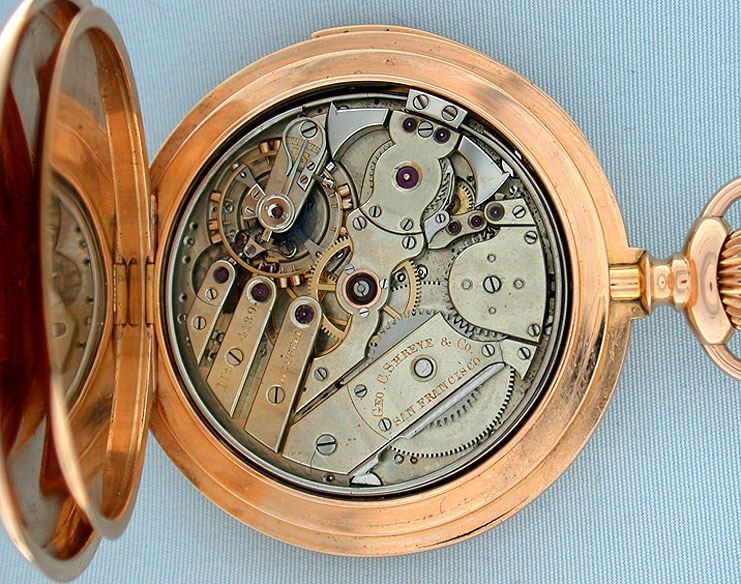 Fine 32 jewel nickel movement jeweled to the hammers and the center and with precision regulator. Signed Audemars Piguet on the movement under the dial.